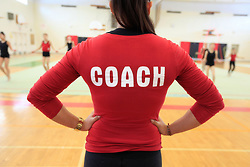 CAAWS and the Coaching Association of Canada (CAC) are thrilled to present the Female Coach Mentorship Model to encourage and support female coaches within Canadian sport. This pragmatic, turnkey tool provides a step-by-step approach for the mentor and mentee. The result is effective and sustainable mentorship that produces tangible benefits. The model also offers guidance for sport administrators to support them in setting up and managing a mentorship initiative to advance female coaches in their sport. For more information on this exciting new resource click here! We shine a spotlight on the power of mentorship this time. Join us for a chance to network with colleagues, hear from female leaders, and get an in-depth look at the new CAAWS/CAC Female Coach Mentorship Model. This event is for all those interested in expanding opportunities for women in sport leadership. All are welcome, and men are encouraged to attend! Deadline to register is Friday, November 24th. Space is limited! Create opportunities for women to lead and enhance the potential of sport organizations! 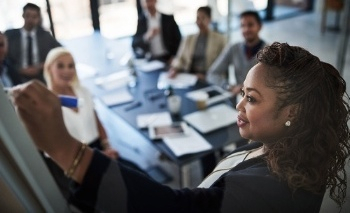 These free webinars will provide insightful information on the value of women on Boards, how to create an inclusive Board culture, and strategies to assist in overcoming some of the challenges faced by women seeking a Board position. Our distinguished presenters will guide you through these webinars. For the French webinar date, click here. Presenters: Gabrielle Gallagher, Recreation Consultant, Nova Scotia Department of Communities, Culture and Heritage (Communities, Sport and Recreation Division) & Rachel Bedingfield, Director of Parks & Recreation, Town of Kentville, NS. Positive female role models are a powerful factor in girls' sport participation. Research shows that a mother's participation in sport increases the rate of her child's participation by 22%! Learn more about how parents and caregivers can support girls to stay active in sport, and set the example by participating in ParticipACTION's 150 Play List - a family-friendly way to engage in sport and physical activity during Canada's 150th! CAAWS is offering free workshops with lunch provided to help instructors and coaches build physical literacy for women 55-70+. To register, please contact Shelley Callaghan at: purpledog@sympatico.ca. Workshops are limited to 25 participants, so register early! CAAWS is seeking 20 community partners to develop healthy living opportunities for newcomer girls and women (in Canada 5 years or less) in communities across Canada. As a partner, you will help to build capacity to better understand the needs of newcomer girls and women in order to better include and engage them in healthy living, physical activity and sport programs. This will further their integration into communities and contribute to their overall quality of life. Successful community partners will work with CAAWS to deliver focus groups, stakeholder workshops and community projects over the next two years (January 2018 - January 2020). For a copy of the application form and application guide, please contact Shelley Callaghan, Project Consultant, at: purpledog@sympatico.ca. Since 2000, CAAWS has been proud to shine a spotlight on the valuable leadership and dedication that Canadian women continue to contribute to the sport and physical activity system. As we embark on a new strategic direction, we are pausing this initiative in order to give us time to make it even better. We will not be accepting nominations for the 2017 version of this list. Please sign up to our e-news to receive updates on future opportunities and news about this program. We encourage you to read about past recipients and Wall of Influence Inductees, as well as to support the advancement of women and leadership through other awards programs. For more information on CAAWS upcoming events, visit our calendar. Carol Stewart, on being named Director at Large on Squash Canada's Board. Well done to Squash Canada on achieving more than 40% female representation on their Board! Daniele Sauvageau, for her election to the Swimming Canada Board, and to Cheryl Gibson for returning as President of a diverse Board with 45% women. High five to Swimming Canada for their commitment to inclusion at the Board level! Another round of applause for Carol Huynh, Cindy Klassen, and The Edmonton Grads on their induction to Canada's Sports Hall of Fame. Thank you for reading our In the Loop eNewsletter!